Happy Bloggers Challenge Friday! The Challenge this week is Circles, use Circle Dies, stencils, shaped cards, circles on your pattern paper, there are endless ways to incorporate circles on your projects! Don't forget you can enter to win a STAEDTLER Prize Package (retail value $60.00)! Click here for details, TODAY is the last day to enter! 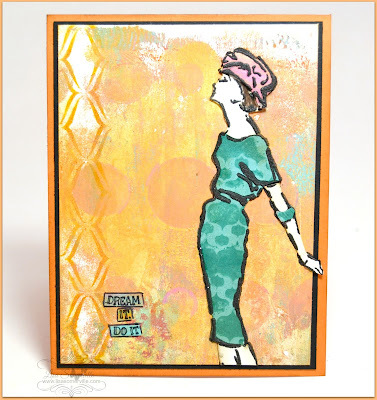 I incorporated circles on my Mixed Media card by using the Just a Trace Dottie Stencil on the background panel. 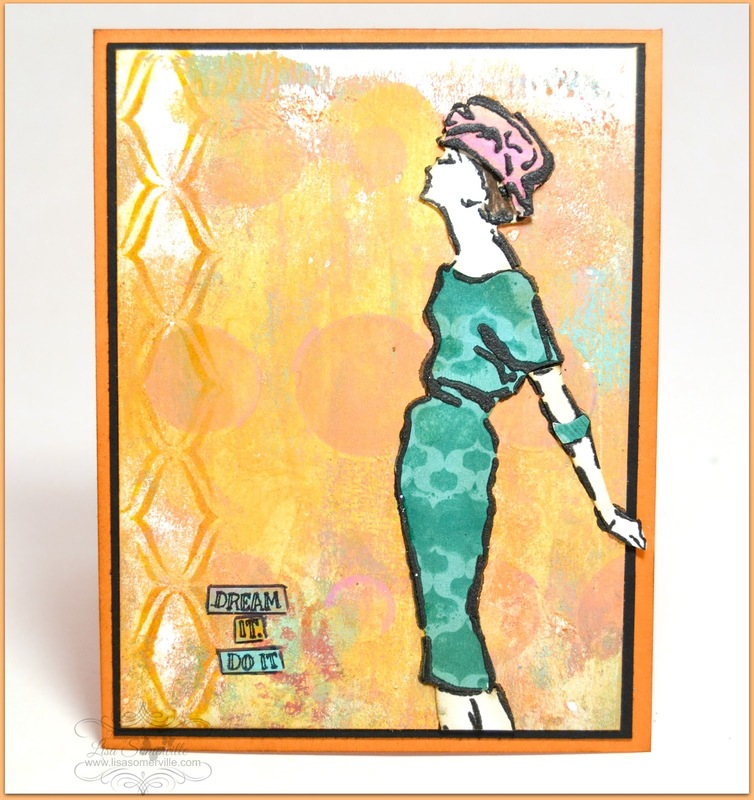 The background panel was created with the Gelli Arts Plate, Just a Trace Stencils and Deco-Art Mixed Media Paints. The woman is the Eliza stencil from Just a Trace. I applied Black Gesso over the stencil onto Card stock and pattern paper, so that I could do a little paper piecing. To add a little pattern to her dress I used the Palazzo Stamp from JAT. If you would like to play along with this weeks Bloggers Challenge, please link back to this post on your blog and mention you created your card for the Bloggers Challenge Circles Challenge. Please add your link using the Link Tool below, your link should be a direct link to your Bloggers Challenge Post, use your name as the Title. Please do not link to cards that were created prior to the challenge date. Entries not linking properly, or backlinked will be removed. If you have the captcha enabled on your blog, please consider turning it off, as it makes it so much easier to leave comments. Love how your lady pops on the background, great card.